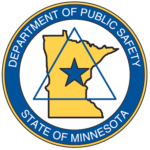 With the states the stated reason for no longer honoring the permit is also given by Minnesota DPS. Here is the official DPS website to reference for details and ongoing updates. Our reciprocity map builder has been updated accordingly. Clarification: Missouri allows 18 year old Military personnel stationed in Missouri to apply for a Missouri CCW permit (2012). Residents at 19 years of age can apply for the Missouri CCW permit (2014).